The Sibylla has a continuous outline, descending from the transparent upper part toward the tail. The cut below the window optically connects to the wheel arches. 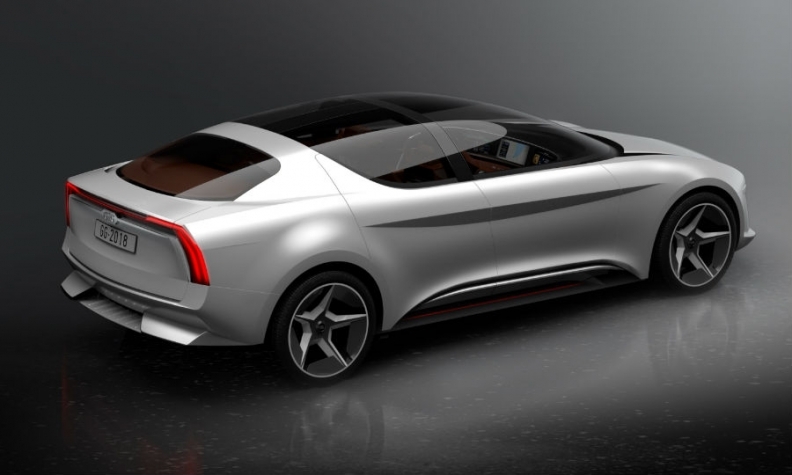 Designer Giorgetto Giugiaro took inspiration from his past creations to pen the Sibylla luxury sedan concept, which also looks to a future when energy-efficient electric cars rule the roads. 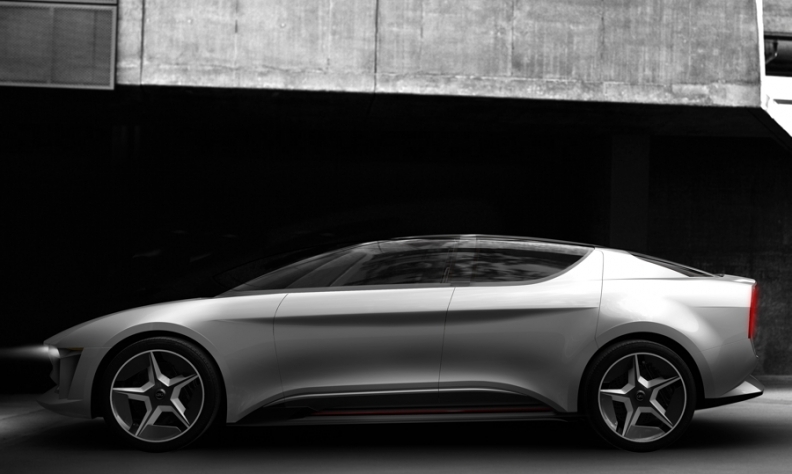 The Sibylla, which Giugiaro developed with Chinese energy management company Envision, will debut at the Geneva auto show on March 6. Its styling is reminiscent of the very low-slung cars designed in the 1960s and 1970s. The forward-hinged front canopy is similar to the 1963 Chevrolet Testudo, which was also penned by Giugiaro. The nostalgic styling is juxtaposed with technologies that will become increasingly common. The sedan has an electric drivetrain powered by four motors. It uses Envision's energy management technology to embed the car into a broader renewable energy system across homes, communities and smart cities, using real-time computing and data analysis. The Sibylla is the second publicly disclosed project for the Giugiaroes' new company, GFG Style, which stands for Giorgetto Fabrizio Giugiaro. The Sibylla is more than 5000mm long and 1480mm tall. It also celebrates Giugiaro's 80th birthday in August, said his son, Fabrizio. Because of his age, Giugiaro focused on ergonomics and ease of use for the concept. The Sibylla's transparent windshield-roof allowed Giugiaro to eliminate the A-pillar, making it very easy to enter and exit the car. It also opens into a big space for the driver and front passenger. The rear compartment is spacious because of its gullwing configuration. The concept's electric drivetrain means it doesn't need a central tunnel for the transmission. The cabin's flat floor means there is room for two independent seats in the back. These can recline just like the front seats. The concept's photosensitive glass darkens in bright sunlight, except for the windscreen section necessary for driving. 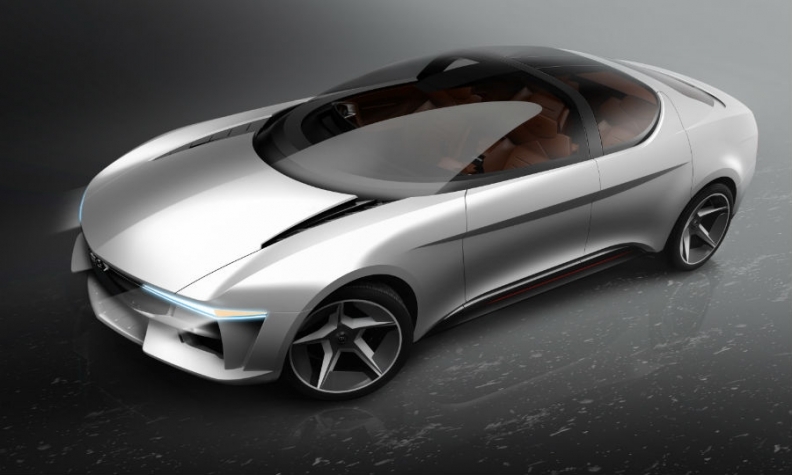 The concept is the second publicly disclosed project for the Giugiaroes' new company, GFG Style, which stands for Giorgetto Fabrizio Giugiaro. The father-son team severed ties with Volkswagen Group in 2015 after selling the remaining part of their Italdesign styling and engineering company to the VW Group's Audi division. GFG Style's first public project was the 1,287-hp Ren electric supercar for the Chinese startup Techrules.